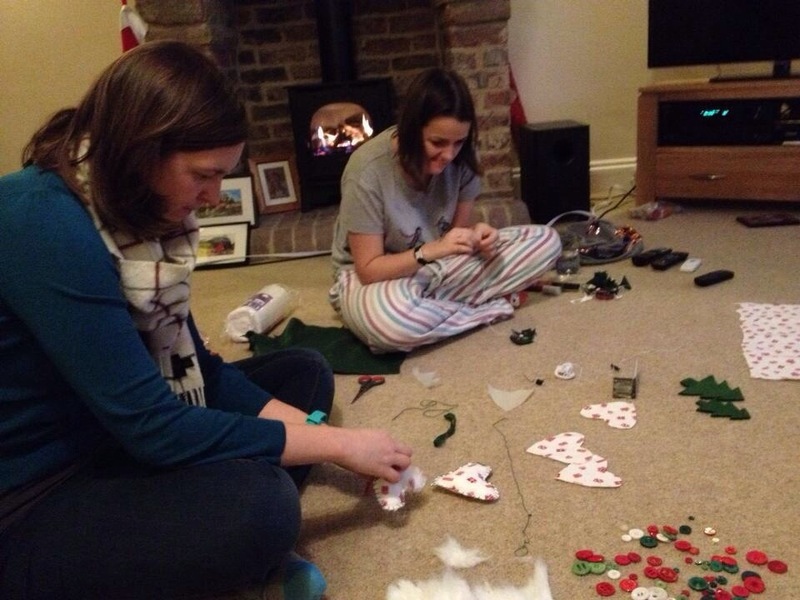 This weekend I taught my lovely friends Flick and Becky the mother of all christmas decoration stitches – the blanket stitch! 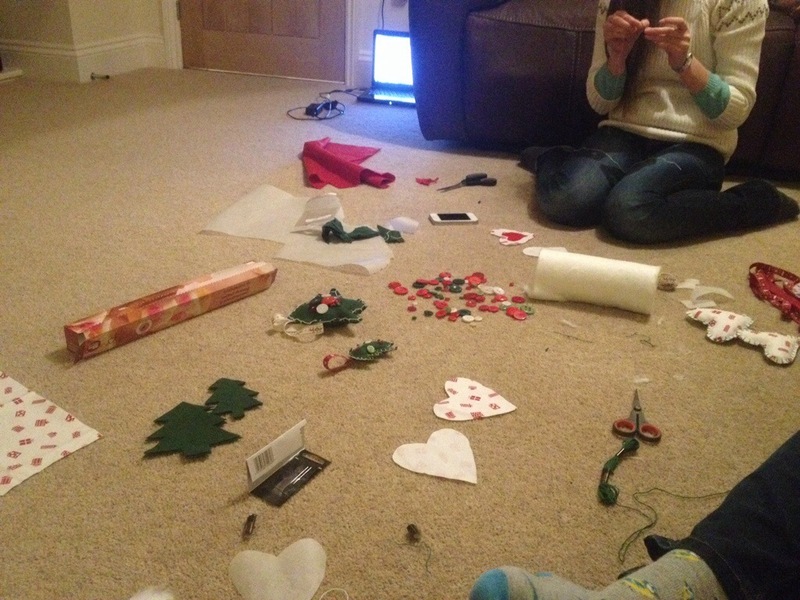 After a wander round Durham Christmas Market and Cathedral and an epic fish and chip lunch, we returned to Becky’s mansion to watch Christmassy films and make some decorations. 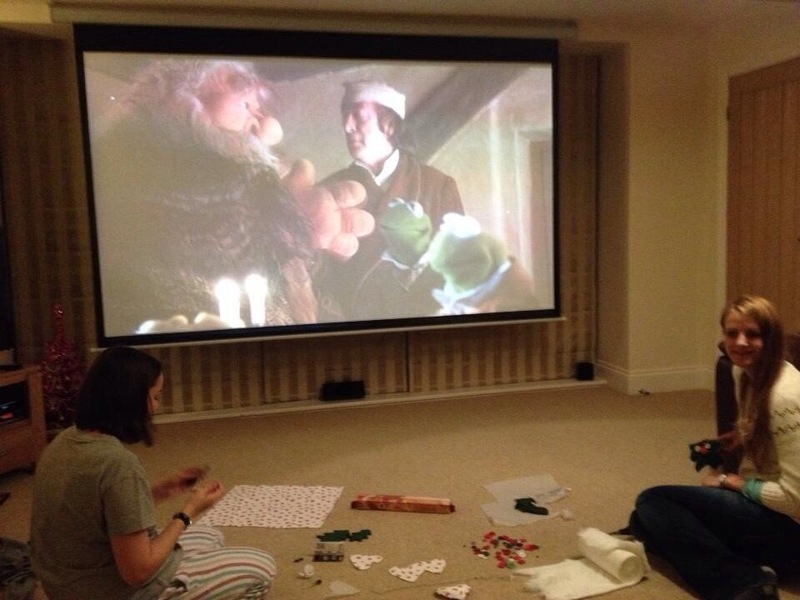 With muppet christmas carol on (a film that neither of the other two had ever seen before), we set upon the mission. 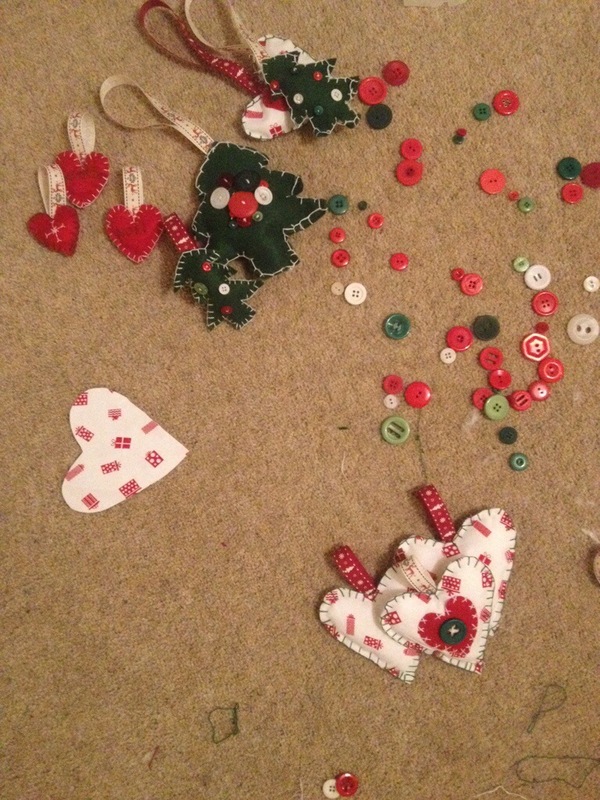 We cut out a variety of shapes, including hearts and christmas trees. 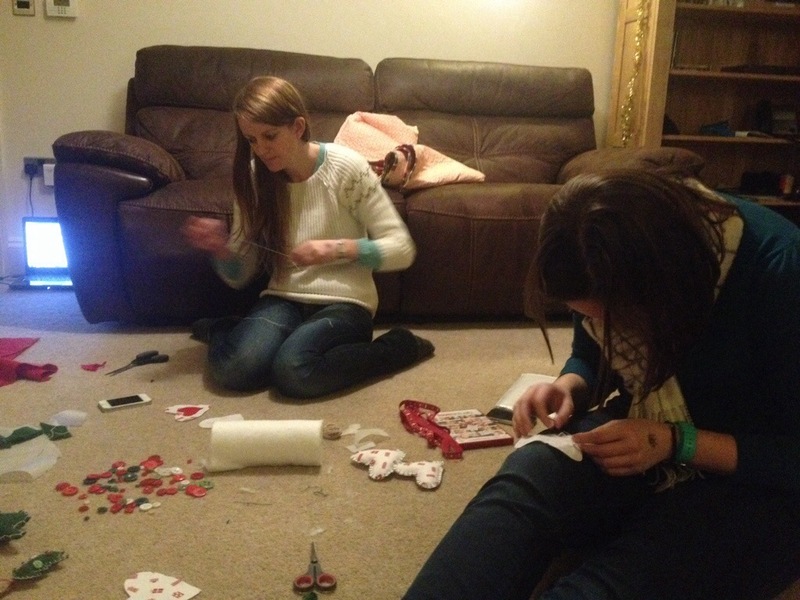 We used buttons to decorate at first but then expanded to include hand stitching too decoration too. Here’s a few pictures of our efforts, with hopefully some pictures to follow of them up on a tree when Becky makes it to California for christmas.